Hola peeps! Let the games begin—HAPPY FASHION WEEK! Ok, be forewarned and bear with me as posts may be coming in a bit slow the next couple of days. Between my day gig, NYFW and SNC events I am a very busy bee. Look out for a post coming soon as I attended the IFB conference yesterday and is was fab! I have lots to share with you guys. Tonight I am aiming to hit up a few spots for Fashion’s Night Out. 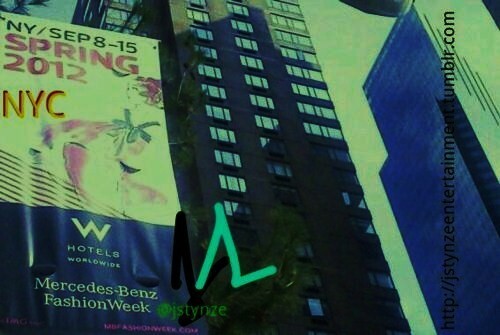 What you are plans for tonight and all of fashion week? Enjoy this pic from J Stynze Entertainment!